The Sd Kfz 6 was a 5ton half track mainly used to tow the 10.5cm le FH18 howitzer. As a medium artillery tractor it was developed in 1934 by Bussing-NAG although vehicle was also manufatured by Daimler Benz. Production of the Sd Kfz 6 continued until 1942 with around 750 vehicles produced. 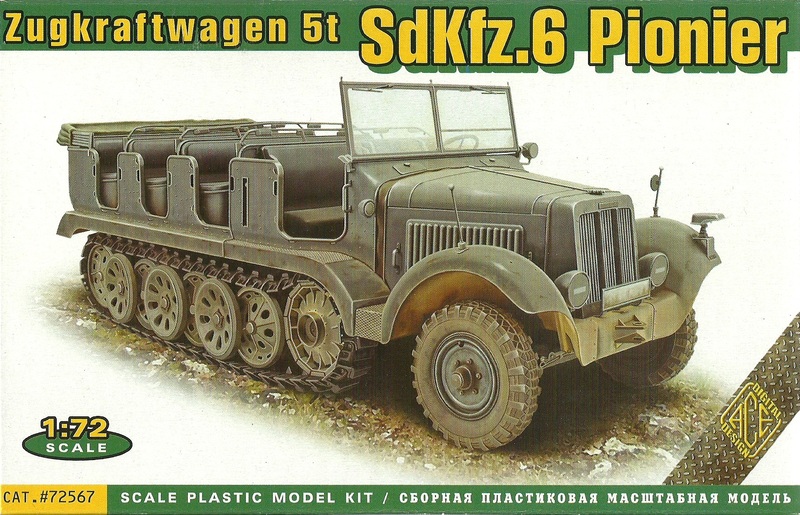 The Sd Kfz 6 was also used by engineer units. The Sd Kfz 6 was used by Wehrmacht, SS and Luftwaffe units during WWII.